When a general contractor enters into a construction agreement with a client, there are three main ingredients in the contract: price, scope of work and the design documents the project is based on. uses its architectural, engineering and construction expertise to create and develop high quality Property Condition Assessment Reports that are specialized for each customer and type of property. Our complete turnkey solutions align with the unique business needs of various types of real estate. 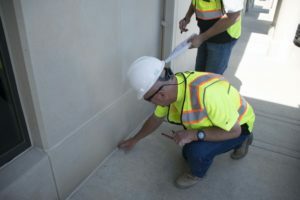 If you are looking for a high quality and trustworthy commercial building inspection, call (913) 667-7774.